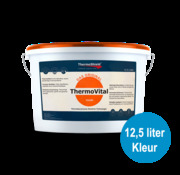 ThermoShield-Benelux is een Nederlands bedrijf, gevestigd in Beverwijk Noord-Holland. SICC Coatings is a leading developer of paints and construction products that provide characteristics beyond the decorative aspect which contribute immensely to the well-being and health of people. Far ahead of the trend to energy saving, years ago SICC Coatings already produced and provided coatings that are applied like any ordinary coat but clearly reduce energy consumption for heating and cooling buildings. 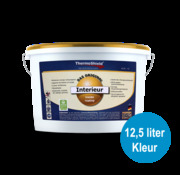 The products of SICC Coatings send clear messages even for removal of moss and algae on facades, solving interior and exterior problems with humidity, mildew-renovation and special hygienic demands of allergic persons. Next to the human wish for comfort through a well-balanced indoor climate, energy saving and environmental protection are main priorities!